Michelle Esquivel, MPH, joined Educare West DuPage as its executive director in November 2018. Prior to coming to Educare, she served as director of the Division of Children with Special Needs (DOCSN) and principal investigator and director of the National Center on Medical Home Implementation (NCMHI) at the American Academy of Pediatrics. In her previous role, Ms Esquivel oversaw DOCSN operations, functions and projects. She provided vision and oversight for condition-specific initiatives and other practice transformation activities. She also provided leadership and direction for many of the family-centered care activities for the American Academy of Pediatrics (AAP or Academy) and the NCMHI. Michelle served on advisory group(s) for national projects focused on the development of a national consensus on core standards for care planning and the use of care plans in pediatric patients and standards of care for children and youth with special health care needs, respectively. She often served as invited faculty for meetings and conferences on behalf of the AAP and the NCMHI to share perspectives, resources and more. Before serving as the director of the DOCSN beginning in 2009, Michelle worked at the AAP Illinois Chapter as the associate executive director (2006 to 2009) and as the director of Immunization Education Programs (2002 to 2006). Ms Esquivel also served as the Director, Education and Membership of The HELP Network (an affiliate program of Children’s Memorial Medical Center). Between 1989 and 1997, she worked in a variety of national AAP roles including division director, project manager, and media coordinator. Her professional interests include: child health policy and program implementation; children and youth with special health care needs; early intervention; prevention and public health; and family-centered care. Michelle holds a Bachelors of Arts in Communications and Business Administration, respectively, from the University of Iowa and a Masters in Public Health with a focus on Health Policy Administration from the University of Illinois, Chicago. She completed a year-long Mid America Regional Public Health Leadership Institute Fellowship. As Executive Director for Educare West DuPage, Michelle is passionate about the mission of all Educare schools. 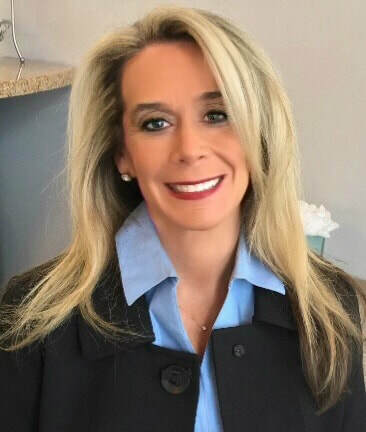 She looks forward to cultivating and enhancing community partnerships, furthering the family-centered focus of Educare West DuPage and supporting the achievements and accomplishments of staff and families who are deeply committed to the success of Educare West DuPage.